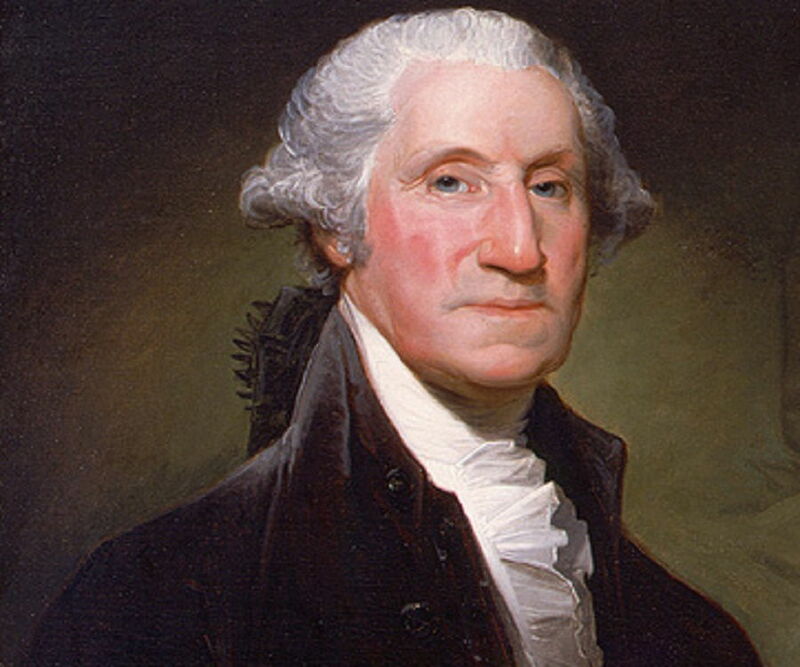 George Washington was the first President and one of the Founding Fathers of the United States. Check out this biography to know about his childhood, family life, achievements and fun facts about his life. place of death: Mount Vernon, Virginia, U.S.
George Washington was the first President and one of the Founding Fathers of the United States. He led the Continental Army to victory in the American Revolutionary War against the Kingdom of Great Britain and saved the nation from the threat of collapse during its most crucial time. 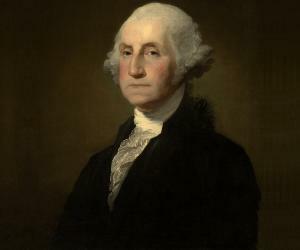 Losing his father at the age of eleven, George Washington was raised under the guardianship of his elder half-brother. At fifteen, he started his career as a successful surveyor, a job that made him tough both physically and mentally, enabling him to lead a grueling march to Ohio County to combat the expanding French troop. Later as the American Revolution began, he was appointed Commander-in-Chief of the ill-trained and ill-equipped Continental Army. Leading his troops from the front, he won the war when his forces captured the British troops in Yorktown. Thereafter, he decided to return home to lead the life of a gentleman farmer; but was persuaded to become the first President of the United States. For eight years, he governed the newly emerging country with firmness and prudence, helping to bring in stability and setting precedence. His presidency lay down the foundation of the world’s major power, making him one of the greatest Presidents in the American history. George Washington was born on February 22, 1732, in his parents’ Pope's Creek Estate near present-day Colonial Beach in Westmoreland County, Virginia. Primarily of English descent, they belonged to moderately prosperous middleclass landed gentry. His father, Augustine Washington, was a tobacco planter, holding a number of properties at different places. At one point, he also tried his hand at iron manufacturing. George’s mother, Mary nee Ball Washington, was his second wife. George was the eldest of his parents’ six children, having four surviving siblings; Betty Washington Lewis, Samuel Washington, John Augustine Washington and Charles Washington. In addition, he had two surviving half brothers, Lawrence Washington and Augustine Washington Jr., from his father’s first marriage to Jane nee Butler. George Washington spent most of his childhood on the Ferry Farm on the Rappahannock River, opposite Fredericksburg, Virginia. He began his education at home under a number of tutors, later attending school irregularly from the age of seven to fifteen. Had his father lived, he, like his half brothers, might have gone to England for schooling. But his father died in 1743, which deprived him of overseas education. After his father’s death, his half brother, Lawrence Washington, a man of character and knowledge, became his guardian. Lawrence’s wife was also famed for her charm, grace and culture. Mostly living in their home in Mount Vernon, George imbibed a lot, not only from them, but also from his surroundings. By the age of fifteen, George Washington had completed his formal schooling. Thereafter, Lawrence, who had earlier served in the Royal Navy, thought of securing a post for George in the same organization. But the proposal was dropped when his mother objected. Instead, he began his career as surveyor. In 1748, at the age of sixteen, George Washington joined a professional survey team, organized by George Fairfax, a friend and neighbour. With them, he moved about, plotting a large tract of land along the western border of Virginia, imbibing valuable experiences. By 1749, he obtained a surveyor's license from the College of William and Mary, subsequently receiving an official appointment as a surveyor in Culpeper County. His first assignment was to plot a 400-acre parcel of land, which he completed within two days. For next two years, he continued working as a surveyor in the in Culpeper, Frederick and Augusta counties. By 1752, he had completed around 200 surveys, totaling over 60,000 acres of land, making enough money to buy land for himself. But before long, a big change came to his life. Lawrence died in July 1752 from tuberculosis, leaving his daughter Sarah to inherit Mount Vernon. But when she too died within two months, twenty year old Washington became its owner. Next in December, he received appointment as an adjutant with the rank of major in the Virginia militia. By the beginning of 1750s, the French had started expanding their territory in areas now known as Pennsylvania. On October 31, 1753, Virginia's Lieutenant Governor, Robert Dinwiddie, sent Washington to Fort LeBoeuf, (now in Waterford, Pennsylvania), asking the French to leave since the area belonged to the British. When the French refused to do so Washington returned to Williamsburg, at that time capital of Virginia. On hearing the news, Dinwiddie sent him back with troops, instructing him to set up a post at Great Meadows in present day Fayette County, Pennsylvania. Once Washington reached his destination, he found that the French had driven away the colonial traders and were constructing a fort. His troops attacked a French post at Fort Duquesne on May 28, 1754, killing 10 French soldiers, including Commander Coulon de Jumonville. The rest were taken prisoners. In 1755, in spite of conceding defeat at Fort Necessity, Washington was made a "Colonel of the Virginia Regiment and Commander in Chief of all forces now raised in the defense of His Majesty's Colony". Under him, the regiment fought many battles, gaining kudos for him. In 1758, George Washington resigned from his commission and returned to Mount Vernon to become a planter and a politician. Over the years, he increased his landholding from 2000 acres to 8000 acres with five farms. His marriage to Martha Dandridge Custis, in 1759, also helped him greatly in that. Initially, he grew only tobacco; but from 1766, he began growing wheat, processing his products before he sold them to other parts of the colony. By and by, he also started fishing, horse breeding, hog production, spinning, and weaving. Much later in 1790, he established a distillery. Also in 1758, he entered the provincial legislature of Virginia, representing Frederick County in the House of Burgesses, serving there till 1774. From 1760s, he became a vocal critic of mercantile policies of Great Britain and also the heavy taxes imposed on the Americans. In 1767, as Townshend Act was passed in the British parliament, Washington started taking a leading role in the colonial resistance. In May 1769, he introduced a proposal for boycotting English goods until such Acts were repealed. In 1774, George Washington joined the First Continental Congress, held at Philadelphia, as a delegate from Virginia. In 1775, he was appointed military advisor for New York. In the Second Continental Congress, a few months later, he was made the Commander-in-Chief of the entire military. Geroge Washington assumed command of the Continental Army in July 1775 during the ongoing siege of Boston. Over the course of the grueling war that lasted for eight long years, he proved to be an excellent general, keeping his ill-trained, ill-equipped troops together, leading from the front constantly motivating them. Initially, he lost more battles than he won; but continued to fight without giving up his position. His main strategy at this point was to harass British troops continuously, avoiding big action. Later as he organized his army, making provision for training and supplies, situation began to improve. The war came to an end when in October 1781 the Continental forces captured British troops stationed in Yorktown. 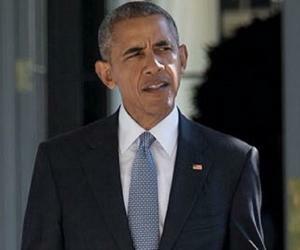 The surrender took place on October 19, 1781 and with that Washington became a national hero. Washington continued to act as the Commander-in-Chief until the Treaty of Paris was signed on September 3, 1783, trying to placate the under-paid Continental Army, signing a petition to the Continental Congress, asking for proper compensation. Thereafter, he resigned his commission and returned to Mount Vernon. After the war, George Washington had hoped to resume the life of a planter, trying to repair the damages caused by his long absence. However, he kept an eye on the national politics and in 1785 hosted the Mount Vernon Conference at his estate. In 1786, he skipped the Annapolis Convention; but when the Constitutional Convention was held in 1787 in Philadelphia, he agreed to preside over it. 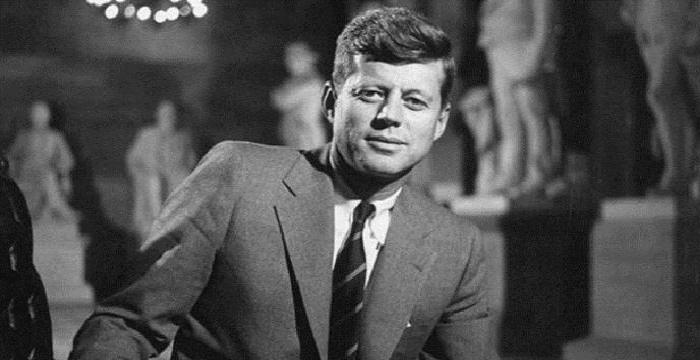 His impressive leadership at the Convention convinced the delegates he was by far the most suitable person to become the first president of the country. In the first presidential election, held on January 7, 1789, Washington received every vote. He took oath of office on April 30, 1789, on the balcony of the Federal Hall in New York City. During those difficult days he proved to be an able and far-sighted administrator, setting up many precedents. Initially reluctant to take the yearly salary of $25,000, he later conceded because his refusal might have set a wrong precedent whereby only the rich would be considered for the post. Translating the new constitution into a workable instrument, concurrently setting up an example of integrity and prudence, he made sure the titles and ceremonies of the President’s office reflect the aspiration of a republic nation. While the Senate proposed more majestic titles he preferred to be called ‘Mr. President’. In 1792, at the end of the first term, Washington was unanimously reelected for a second. But when it ended in 1796, he returned to Mount Vernon, steadfastly refusing another. It set up another precedent, whereby to this day, Presidents of United States serve only two terms. As the first President of an emerging nation, George Washington provided much needed stability, dealing deftly with competing factions like Alexander Hamilton and Thomas Jefferson. To aid in his administrative duty, he set up a presidential cabinet, consulting them before taking any decision. To demonstrate the federal authority, he sternly quelled the ‘Whiskey Rebellion’. He respected the prerogatives of the Congress, never infringing upon their rights. Through the Judiciary Act of 1789, he established the Supreme Court, nominating John Jay as the first Chief Justice. He also established the first national bank and was instrumental in incorporating the Bill of Rights in the constitution. In foreign policy matters, he preferred to have cordial relation with other nations; at least until the nation was stronger, maintaining neutrality in case of conflict. To enhance the interest of the USA, he signed treaties with Britain and Spain; but when war broke out between Britain and France, he remained neutral. On January 6, 1759, George Washington married Martha Dandridge Custis, a twenty-eight year old wealthy widow with two children. She was gracious, intelligent and experienced in managing estates. Although the union did not produce any offspring the couple enjoyed a very compatible partnership. Washington loved Martha’s children, John Parke Custis and Martha Parke (Patsy) Custis, as his own. When Patsy died in 1773, distressed Washington cancelled all his business engagements, remaining with Martha for three months. Later when John died in 1781, they raised his two youngest children; Eleanor Parke Custis and George Washington Parke Custis. On his return to Mount Vernon in March 1797, Washington continued to work in his estate, trying to undo the damages done during his long absence. On December 12, 1799, he went riding around his estate overseeing the work, getting wet from snow in the process. On the morning of December 13, 1799, he awoke with a severe sore throat; yet he went riding around the farm, marking trees he wanted to be cut. That night he retired early, waking up at 3 a.m., feeling breathless. He then ordered bloodletting; but it did not help. Eventually, he died at around 10 pm on December 14, 1799 in his home at Mount Vernon. His last words were "'Tis well." His body was interred at Mount Vernon. Although there had been a talk of removing Washington’s remains to the capital, it remains at its original site to this day. But to protect it from vandalism, the remains had been placed within a marble sarcophagus on October 7, 1837 and sealed. Known as the “Father of the Country”, he left an enduring legacy. It is not only the national capital, which has been named after him; but hundreds of U.S. towns and schools also bear his name. His face appears on the U.S. dollar bill and his statues adorn many parks across the country.